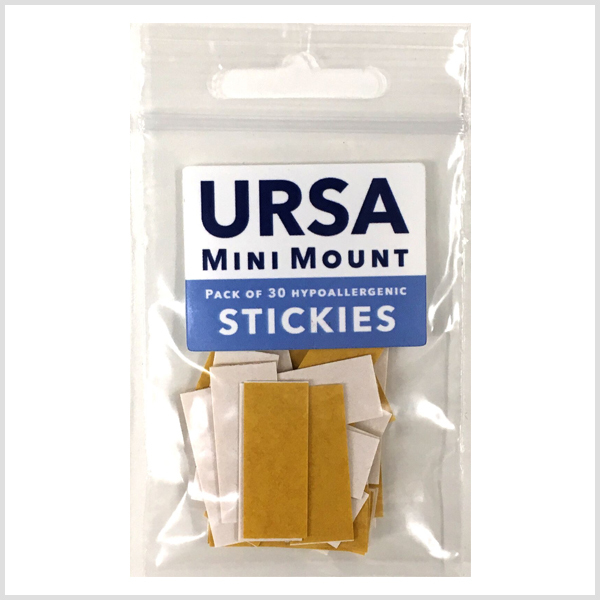 Our packs of 30 Hypoallergenic URSA Stickies are designed specifically for the MiniMounts. They measure 11x22mm and have two easy to use peel-off tabs on either side. MiniMounts measure 11m wide x 22mm long x 6mm tall.